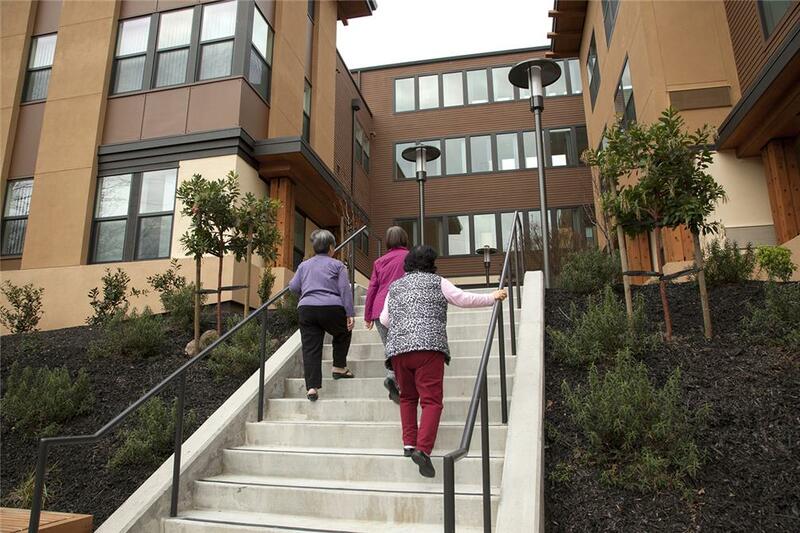 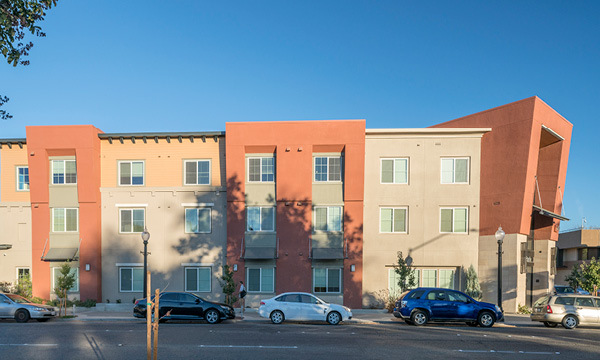 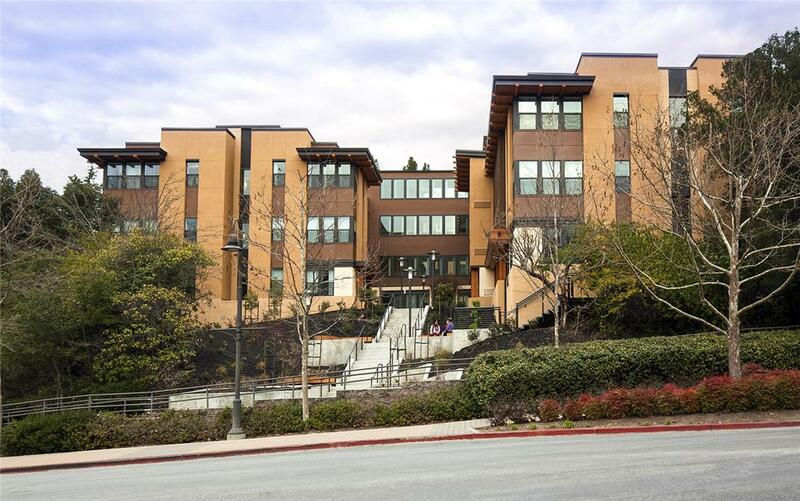 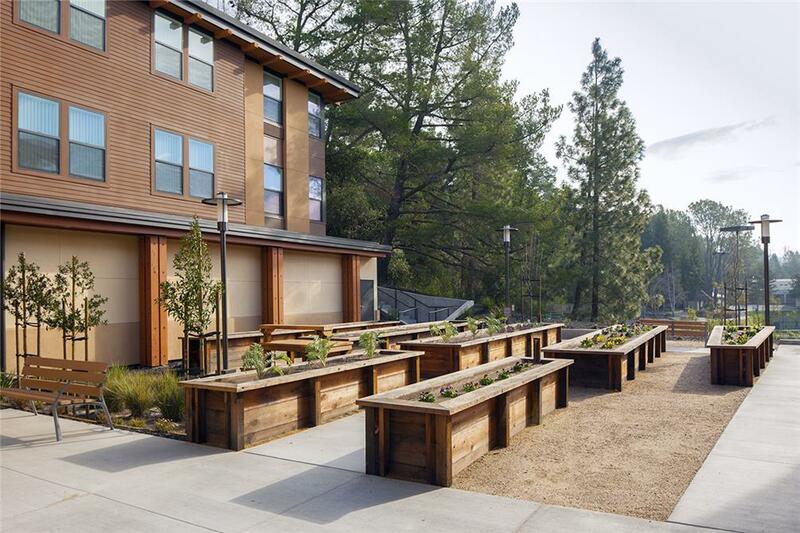 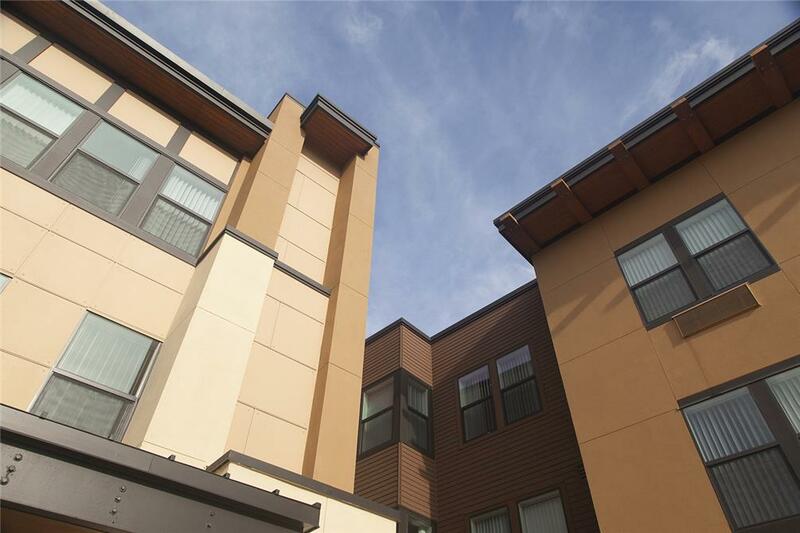 Close to BART transit and the services and amenities of Downtown Orinda, Monteverde is a wood podium project providing affordable rental apartments to seniors, across a site challenged by a 40-foot grade change. 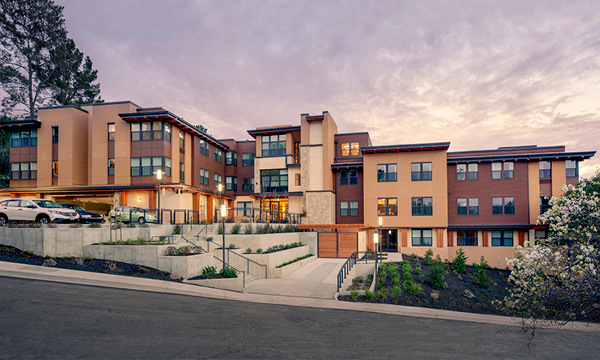 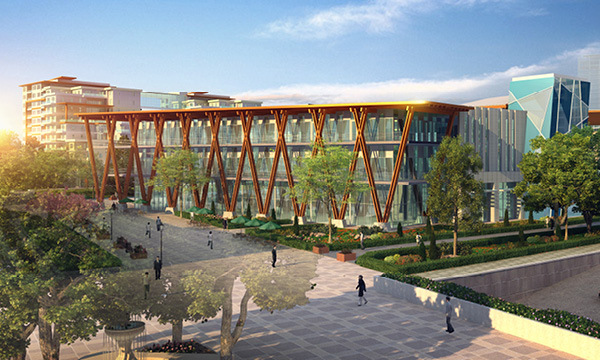 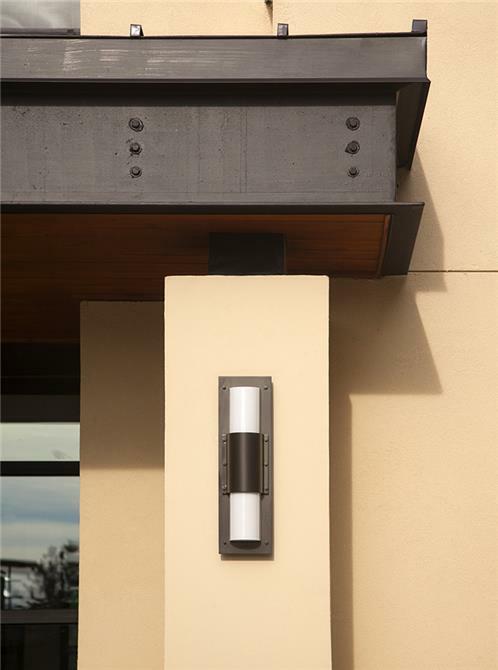 A number of sustainable features have been integrated to maximize building efficiency, including a solar hot water system that provides 50 percent of hot water and a photovoltaic system that achieves 15 percent over Title 24 energy efficiency standards. 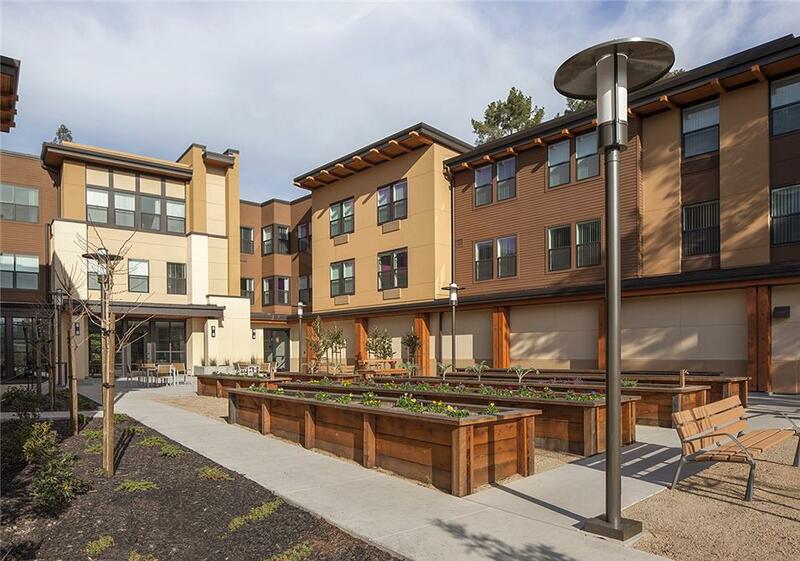 Onsite supportive services programs and a number of amenities including a large community room with full kitchen, exercise room, a library/computer learning center, laundry facilities, and a large courtyard with a community garden are provided to support their daily lives and the long-term independent living for lower income seniors in a healthy, safe environment.